MINNEAPOLIS, Jan. 15, 2018 /PRNewswire/ — Founding Fathers’ mission is to create superior quality American made products that support American Military families with 50 percent of its profits. Founding Fathers introduced their line of domestic premium lager beers in 2011 and has recently introduced their full line of 100% Arabica gourmet coffee. “It is through the generosity of companies like Founding Fathers that allows Folds of Honor the opportunity to serve the needs of those who have heroically served our great country. We are truly honored to stand shoulder to shoulder with this fine group of patriotic partners who share our commitment to support those who need it most. Together we can make a lasting difference,” said Major Dan Rooney, Founder of Folds of Honor. 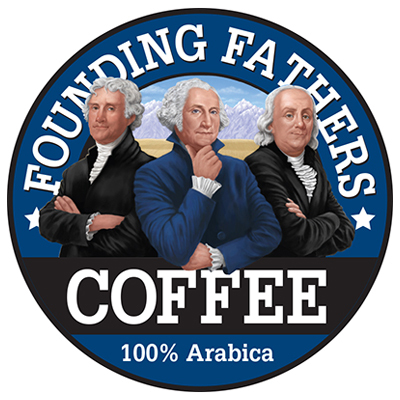 Founding Fathers Coffee is available at Amazon.com, BedBathAndBeyond.com, Military Exchanges and many fine retailers. Established in 2009 by Minnesota entrepreneur Phil Knutsen, the mission of Founding Fathers is to keep America strong one product at a time by providing the best American-made products aligned with the principles and values that made the United States the greatest country in the world. Founding Fathers Products donates 50 percent of their profits from the sale of its products to support our American military families. Founding Fathers produces a line of domestic premium lager beer and a line of 100 percent Arabica Gourmet Coffee. 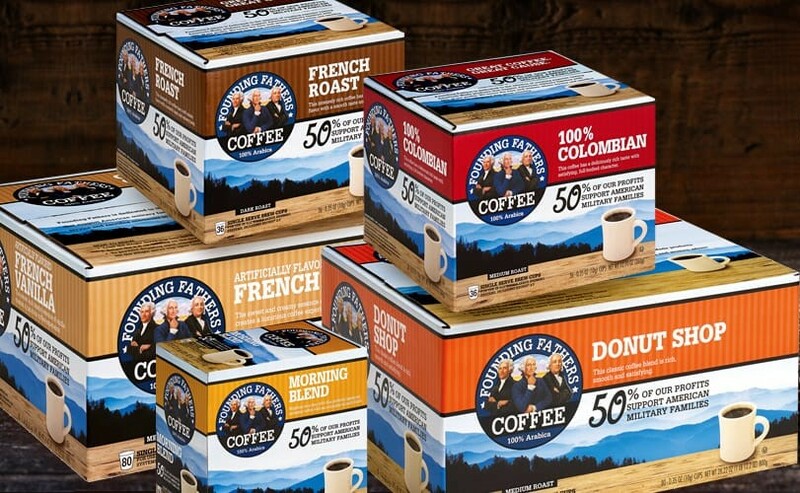 Introduced in 2016, Founding Fathers 100 percent Arabica coffee is available in five different roasts; Morning Blend, Donut Shop, French Roast, Colombian and French Vanilla. The coffee is currently available in single serve cups (K-cups), Nespresso pods, bag ground and whole bean. Also available in USDA Organic, Fair Trade and Rainforest. For more information, visit www.foundingfathersproducts.com.